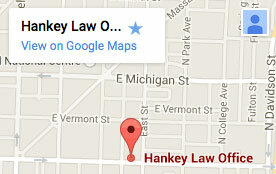 Hankey Law Office > FAQS > How do I qualify for Social Security benefits? How Do I Qualify for Social Security Benefits? In order to qualify for social security benefits, you must have been employed a certain number of years at an occupation that paid Social Security taxes. In addition, you must have a disability which prevents you from working or performing “substantial gainful activity.” Substantial gainful activity is defined by the Social Security administration as any work that provides you with wages or a self-employment income of at least $1,010 a month for non-blind individuals and $1690 for blind individuals. If you are unable to earn at least this amount from working each month due to your disability, you may qualify for Social Security benefits. An Indianapolis Social Security disability lawyer from the Hankey Law Office, P.C., may be able to help you with the complex process of applying or seeking an appeal.